Here is the latest in a series of examinations into urban legends related to board games and whether they are true or false. Click here for an archive of all board game urban legends so far. 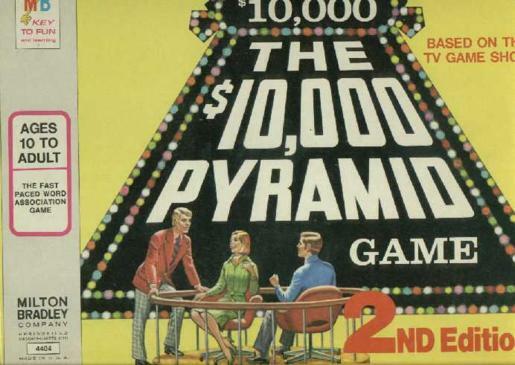 BOARD GAME URBAN LEGEND: The Milton Bradley board game for the Pyramid television show was different from the game on the show because the show was worried that the gave would help potential contestants too much. 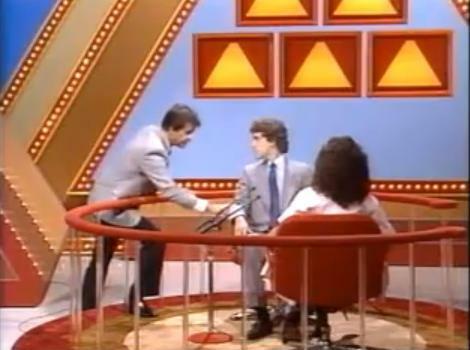 Created by legendary game show producer Bob Stewart, the Pyramid was a long-running game show based on celebrities pairing up with contestants to get their partner to guess words or phrases based on descriptions given by them. There was also a $100,000 Pyramid. 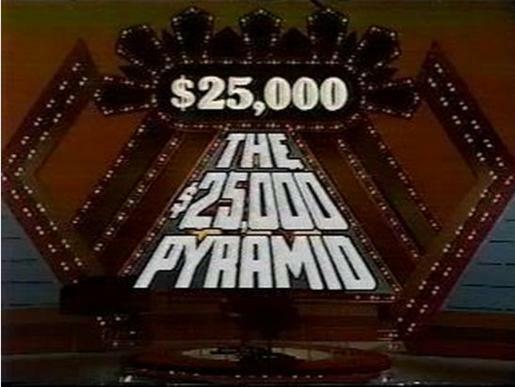 The name of the show comes from the famous conclusion of the show, where the contestant who won the regular game would go into the “Winner’s Circle” and go up a “pyramid” of six categories (each one more difficult as you went up the pyramid) where, in a reverse of the regular game, instead of guessing words within a category, you would have to guess a category through a list of words (“Andy, Anne, Andrea…” “Names beginning with A!” Stuff like that). 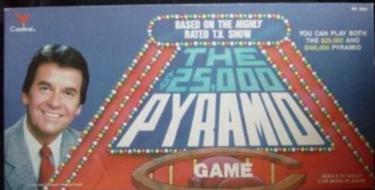 It was a very popular show, and naturally enough, it received a “play at home” board game edition from Milton Bradley. 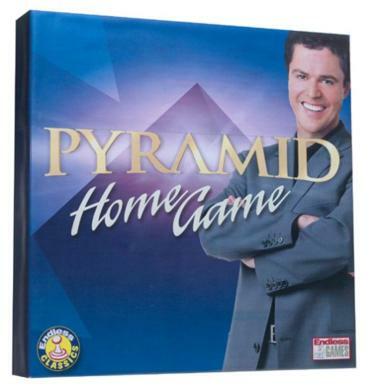 However, there was a major problem with the board game, at least as far as the show’s producers saw it, which is why the Pyramid’s board game does not come with a Pyramid section! You see, there were only a relatively small amount of possible categories for the Winner’s Circle. In fact, if you watch the show long enough, you’ll begin to see the same categories re-used fairly often. So if they were to put those categories into the board game, prospective contestants would have a strong chance at being able to practice with categories that would actually end up being used ON the show!! They did not like that idea, so the Milton Bradley game did NOT have a Winner’s Circle round. So the Pyramid did not have a Pyramid! Instead, for the final round, players would use the same categories that they played the regular rounds in, they’d just have to get all six of the words/phrases correct to win. It is good to know that their paranoia did not last to this day! This entry was posted on Monday, June 8th, 2015 at 6:00 am	and is filed under Board Game Urban Legends Revealed. You can follow any responses to this entry through the RSS 2.0 feed. You can leave a response, or trackback from your own site.